In the (6) 360 Vegas Vacations we've had to date, planned events have had to be aborted at the last minute 4 times, 2 of them have happened at Tropicana, at 360VV2, 3 and 6. 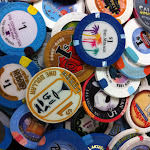 The other two events were the meet and greet at Bellagio's Baccarat Bar and the Spa @Aria, both at 360VV4. It's one of the most commonly shared, stunning views of Las Vegas, unarguably one of the best in the city. If you've never experienced it in person, as we had not before VV6, I state my regret. It is truly mesmerizing. 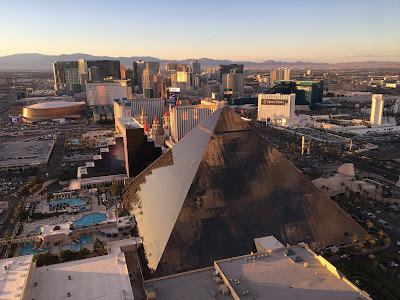 For me, an awe-inspiring view of a city that changed my life in ways I could have never imagined, brought to you via the bucket list of one 360 Vegas Tony. If you've never visited the Skyfall Lounge at Mandalay Bay, Delano to be specific, make a point to change that on your next visit. I submit that you will NOT state regret. You're Welcome!